We can turn most frames into sunglasses. A good pair of sunglasses deflects damaging UV rays. Add polarized lenses and eliminate the glare of sun or snow. 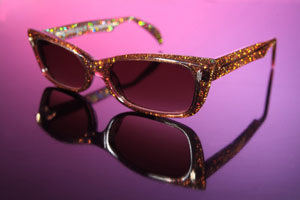 Let us choose the right type of sun wear for you, or customize a clip-on for an existing frame.